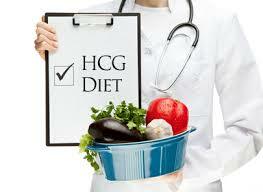 Over the last 12 years, I’ve offered the HCG Diet to clients and have witnessed their successful results. Well now it’s my turn. I have been struggling with 18 pounds for a while now and decided to see if HCG would work for me. I’m happy to say I’ve lost 10 pounds in 20 days. So what is the HCG Diet? It’s a rapid weight loss program that involves daily injections of the HCG, Human Chorionic Gonadotropin, a hormone that pregnant woman naturally produce. The diet also includes a carefully monitored, ultra low-calorie (500 – 800 per day) nutritional plan. By following the plan, you should lose ½ – 1 pound per day. You might ask why you need the HCG when a low calorie diet alone should do the trick. It’s all about changing your body composition. The HCG helps you retain muscle while losing the fat. This allows you to sustain a longer result from the weight loss. In addition, you are given personalized guidance on how to follow the program in a healthy manner. Legally, you must have a health care provider administer this program. So don’t look for over-the-counter solutions that might fool you. I work with Dr. Joan Baijnath to provide clients with a safe and effective weight loss solution. We truly care about the health and beauty of our clients and stake our reputation on the services we offer. And if you don’t believe me, just ask Dr. Oz. Check out this video from one of his shows: http://www.doctoroz.com/article/new-hcg-diet.